Inspiring a Niche Audience to Get Tested — Public Communications Inc.
Latinos make up 16 percent of the U.S. population, but account for 21 percent of new HIV infections. Lack of access to healthcare, fear of stigma, and low perception of HIV risk are major obstacles to HIV testing. And after diagnosis, barriers to treatment often include lack of health insurance, difficulty navigating the U.S. healthcare system, and a shortage of culturally competent healthcare facilities. 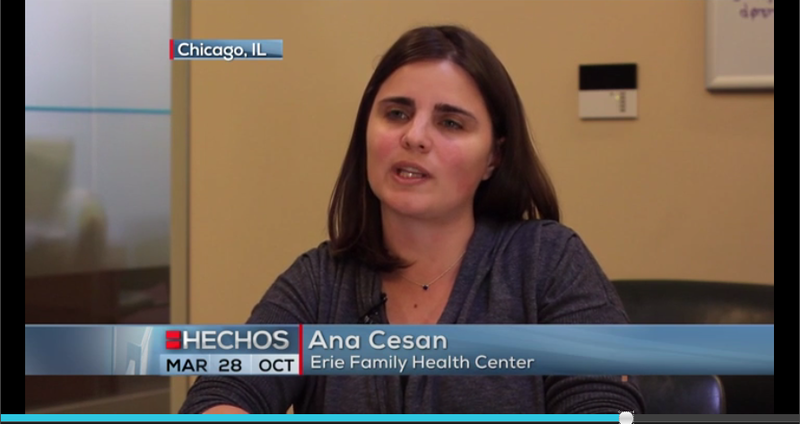 The AIDS Foundation of Chicago (AFC) joined with Erie Family Health Center to tackle these barriers for people of Mexican descent – the largest subset of the Latino population in Chicago – through a citywide project designed to connect Mexican men to HIV testing and medical care. The group turned to Public Communications Inc. to make Mexican men aware of it. Our challenge was to develop a marketing campaign guided by public health principles. Mexican men who primarily speak Spanish and are unaware of their HIV status. HIV-positive Mexican men who identify as gay or bisexual and are not engaged in care. The call to action? 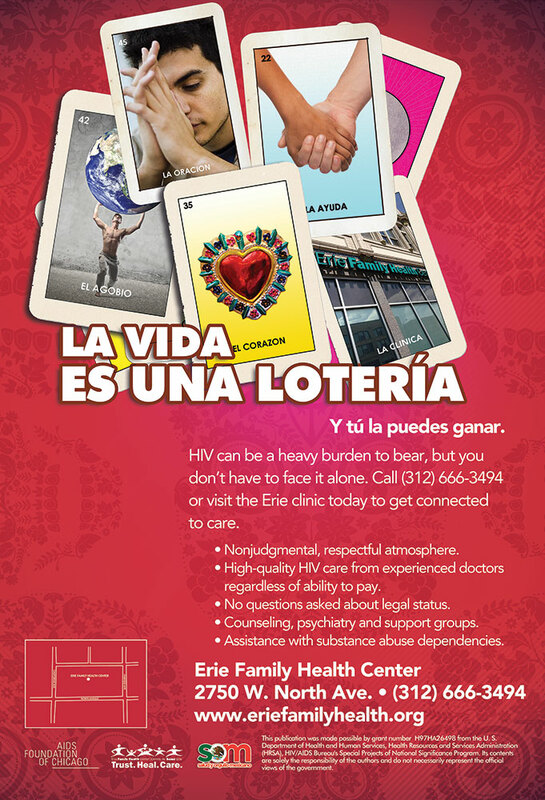 Get tested or treatment for HIV at Erie Family Health Center. 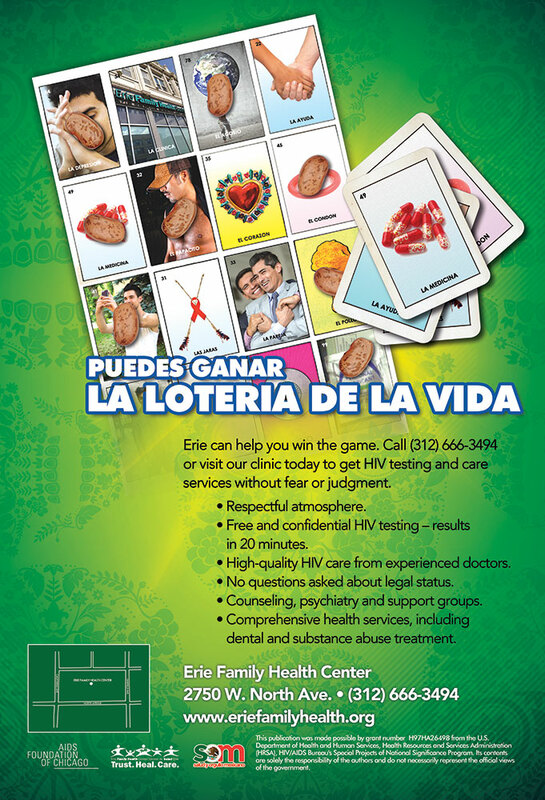 The campaign launched in October 2014 ahead of National Latino AIDS Awareness Day with citywide Spanish-language and bilingual bus shelter ads that put a twist on the colorful cards used in lotería, a bingo-style game played by Mexican families in their homes since the late 1800s. 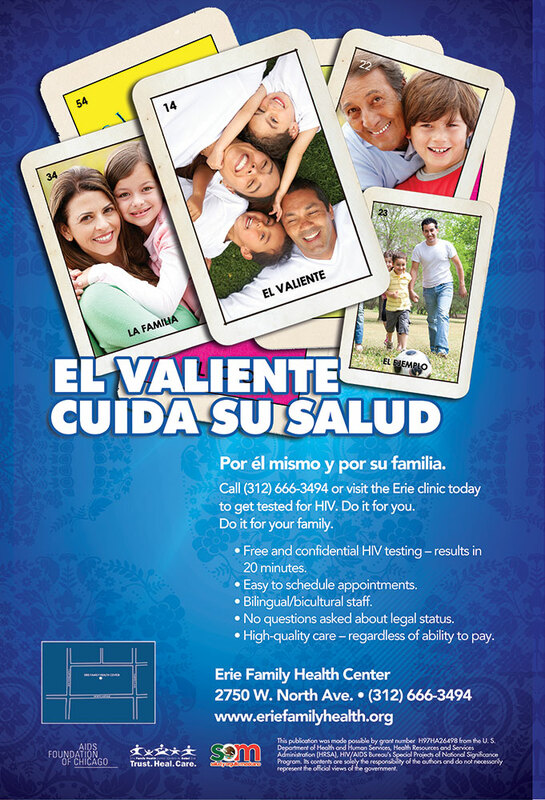 As a result, each ad has a bold color (to grab attention) and lists key services (to reduce perceived barriers to care): free and confidential HIV testing; easy-to-schedule appointments; bilingual/bicultural staff; no questions asked about legal status; high-quality HIV care regardless of ability to pay; counseling, psychiatry and support groups; dental and substance abuse treatment; respectful atmosphere. an extended platform to spread the message about testing. 73 percent of respondents said they would consider getting health services, such as an HIV test, at Erie Family Health Center. The campaign earned 29 media mentions during its two month outdoor display, with 4.2 million audience impressions. AFC was so pleased with the results they retained us for phase two of the project to help develop a digital marketing version of the lotería campaign.